Car is brand new and i bought it but i am going abroad thats'why i want to sell it. She is good reliable...18000km driven in japan. it has eco idling automatic brake and start...push start engine...s ene charge(half hybrid) ... door lock sensors. Set your Alerts for Suzuki Wagon R in Islamabad and we will email you relevant ads. 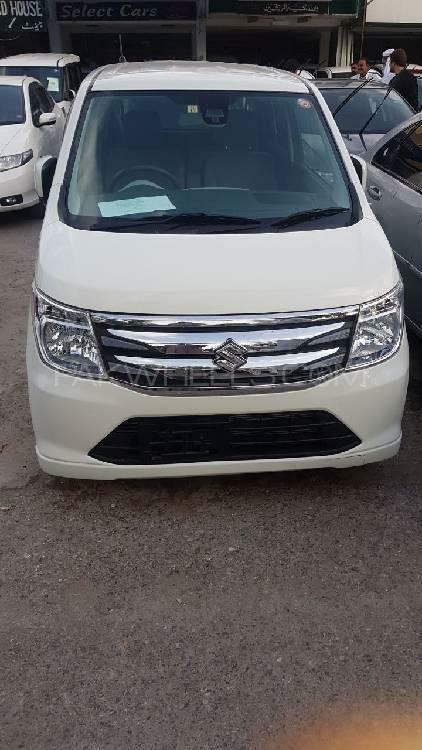 Hi, I am interested in your car "Suzuki Wagon R 2014" advertised on PakWheels.com. Please let me know if it's still available. Thanks.